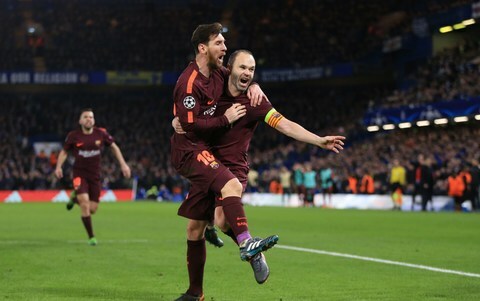 Premier League club Chelsea had to settle for a draw as they got their 2017-18 Champion’s League knockout stage campaign underway – earning a 1-1 result in their first leg tie against Spanish giants Barcelona. Things weren’t looking too promising for either side in the first half, with neither club able to break the deadlock. Chelsea winger Willian came close to finding the back of the net prior to the half-time whistle but was twice denied by the woodwork. As the second half commenced, Chelsea increased the pressure on La Liga stars Barcelona, which ultimately led to them taking the lead by the 62nd minute. With an assist provided by Eden Hazard, it was third time lucky for Brazilian international Willian who slotted the ball into the back of the net with a sublime strike into the bottom right-hand corner of the goal. Barcelona soon bounced back though, drawing level in the 74th minute courtesy of star man Lionel Messi. Prior to the goal, Barcelona were rebuffed in their claim for a penalty as Luis Square took a tumble. However, Barcelona then took full advantage of a lapse in concentration from the hosts to punish them from close range. In the process, Barcelona were able earn themselves an all-important away goal that could certainly prove to be all the difference ahead of the second leg tie at Camp Nou. German giants Bayern Munich certainly delivered in a 5-0 thrashing of Turkish side Besiktas. The away team got off on the wrong foot after being brought down to ten men just sixteen minutes into the game. It wasn’t until the 43rd minute that the hosts took the lead, as Thomas Muller found the back of the net with an assist provided by David Alaba. Fast forward to the second half, Kingsley Coman doubled the hosts’ advantage, before Thomas Muller claimed a brace in the 66th minute. By the 88th minute, star striker Robert Lewandowski added a further two goals – all but ending any hopes of progression for Besiktas. With two more first leg ties to take place tonight, we’re sure to be in for a treat as Sevilla take on Manchester United, and Shakhtar Donetsk go head to head against AS Roma. 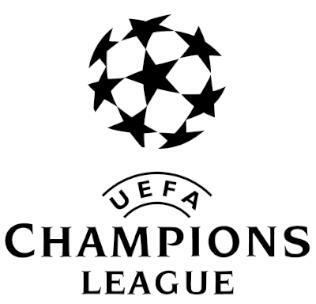 Let us know what you think about last night’s Champions League ties in the comments section below or on Facebook, Twitter, or Instagram.